The big news from the darting world was the withdrawal of world number four and two time Premier League champion, Gary Anderson. The ‘Flying Scotsman’ pulled out with a back injury, a problem that has plagued him for a number of years. That’s forced a slight format change to this year’s tournament, with nine ‘contenders’ making their debuts - one per week for the opening nine weeks. That means only one player will be eliminated before phase two, where everyone will face each other again before the play-off semi-finals and final. The nine players will be made up of future and local talent, whose points won’t count towards the phase one standings, but their opponents will still have plenty riding on the clash. Among the ‘contenders’ are Chris Dobey in week one, and BDO World Champion Glen Durrant, in week two. 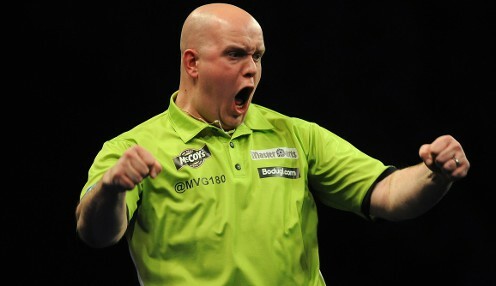 Anderson’s withdrawal has only increased Michael van Gerwen’s chances of winning his fifth Premier League title and his fourth in a row. He’s as short as 4/7 on with some bookies, and it’s hard to see how he’ll be stopped, seemingly entering some unbeatable form. 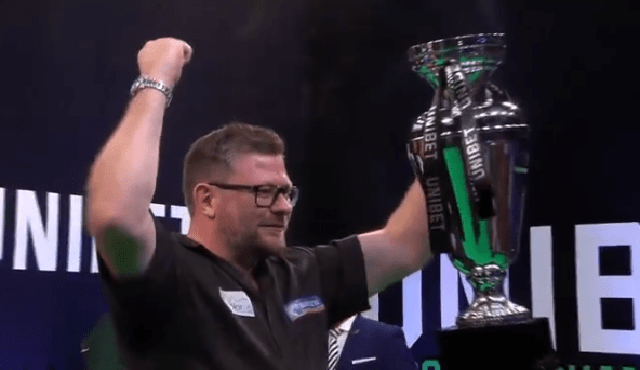 After thrashing Michael Smith 11-4 in the final of last year’s Premier League, ‘Mighty Mike’ has gone on to lift the World Grand Prix title, before again destroying Smith in the World Championship final, and seeing off James Wade to win the Masters this past weekend. It’s a repeat of last year’s final in week one for MVG, a good test for him early on against a fellow contender in Smith but one you’d expect him to overcome. Who else makes the cut? World Championship and Premier League runner-up Michael Smith, is now second favourite to win his first major, which can’t be too far around the corner after a real breakthrough year despite falling just short on several occasions. He certainly has the ability to beat anyone on his day and will surely be there or there abouts in the race for a semi-final spot once again. 2018 World Champion Rob Cross is third favourite, but he’s struggled to live up to the expectations after his shock win last year, making it to just one major semi-final since, which was incidentally in the Premier League. He’s certainly capable of putting a run together but at the same time, can lose confidence if he starts off poorly once again. Peter Wright makes it back despite finishing seventh last year, and crashing out at round two at the World Championship. Elsewhere, James Wade makes his return to the Premier League, while Raymond van Barneveld will play for one final season before his retirement at the end of next year’s World’s. If you know and love you’re darts, there’s the chance to win some big prizes each week in our Premier League Predictor. Enter for either £2 or £10 with at least £200 to play for in the prize pot, while there’s £250 guaranteed in the £25 pool and £1,000 if you cough up £100. There are 10 questions for you to answer, such as who you think will win each match, hit the most 180s on the night, score the highest checkout and more. The first five are yes or no questions worth 10 points each, while multiple choice questions score you 20 points for a correct prediction. Score the most points to scoop the biggest share of the guaranteed prize pot. But our big money game to play ahead of Thursday, is our Jackpot Predictor with £100K up for grabs. Play for just £1, answer all 12 questions correctly to scoop the £100K, while if you score the most points, you’ll still be able to claim the consolation prize of up to £100. Questions include if you think MVG will win the Premier League, which he is favourite to do so, and will there be a nine dart finish in any match, with the last of eight maximums in the tournament’s history, coming in 2017. Among the multiple choice questions are who you think will finish bottom, with Raymond van Barneveld and last year’s bottom place man Gerwen Price the joint favourites to do so but after his winless season in 2018, Price might be the man to back. There’s plenty more to predict, including how many matches you think MVG will lose, and how many 170 checkouts will be made, in order to win the £100K. With plenty to play for at i-pools as the Premier League Darts gets underway, make sure you get your entries in here.